While KTM India is yet to make an announcement about the launch of the 790 Duke, a new report claims that the motorcycle could arrive next month. Motoring World suggests that the Austrian brand would set up an all-new advanced assembly line at Bajaj Auto’s Akurdi plant. The set up would be supervised and operated by a team of officials from Austria to ensure KTM quality standards. 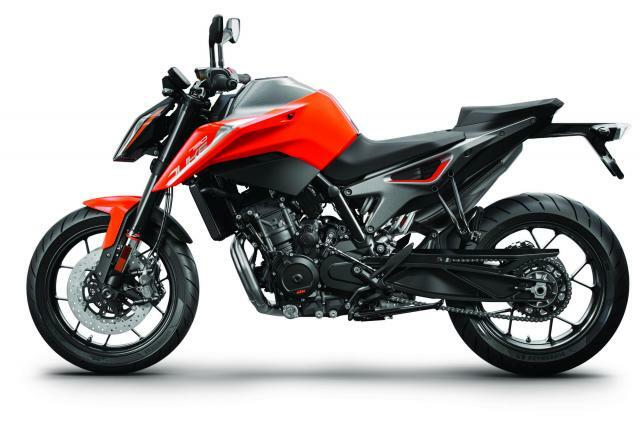 The KTM 790 Duke India launch is reportedly scheduled in April 2019. KTM India is yet to make an announcement about the launch date. The report reveals juicy details about the components that would be used on the upcoming middleweight naked roadster. The 790 Duke would arrive in India via the CKD route with certain parts localised. Parts that would be sourced from local vendors include lights, indicators, and wiring. However, components like engine, chassis, and suspensions would be imported. The report claims that the first 100 units of the motorcycle bike have already arrived in the country for R&D and service training purposes. Shock absorption department includes WP sourced 43 mm USD front forks and preload adjustable monoshock at the rear. Stopping power comes from twin discs at the front and a single unit at the back. The KTM 790 Duke would reportedly arrive at an introductory price tag of approximately INR 6.5 lakh (ex-showroom), undercutting its rivals such as the Kawasaki Z900, Triumph Street Triple and Ducati Monster. Similar to the 390 Duke, the 790 Duke would feature a TFT display with Bluetooth enabled smartphone integration to control calls and music without taking the hand off the bike.